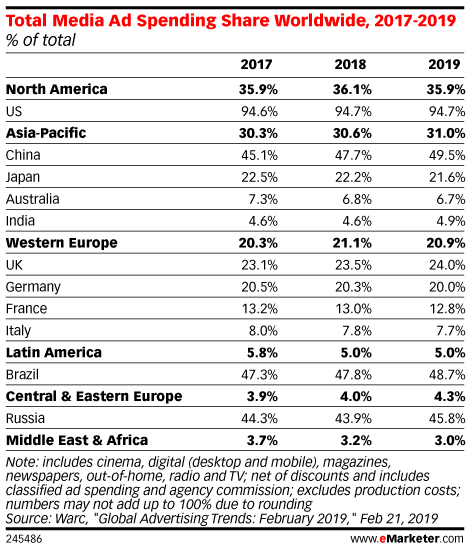 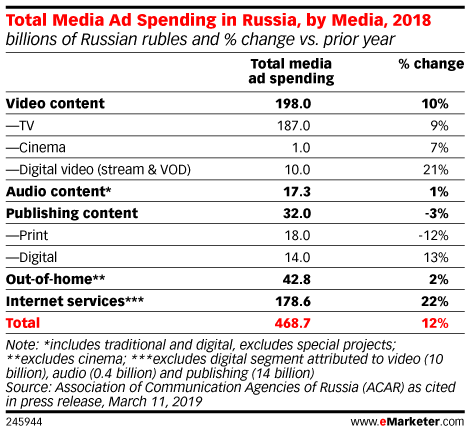 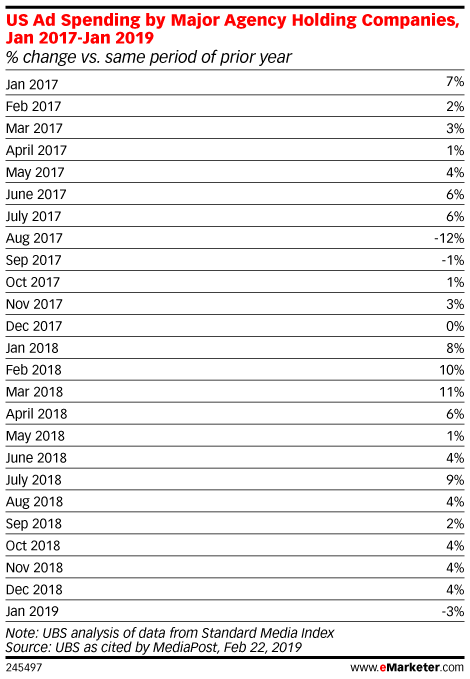 What is the forecast for total media ad spending? 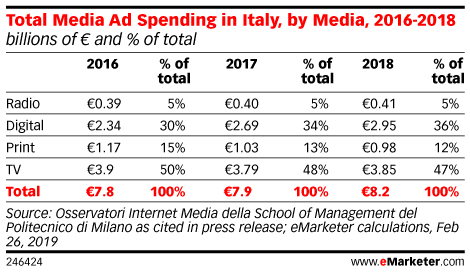 How much of total media ad spending is spent on TV, on digital? 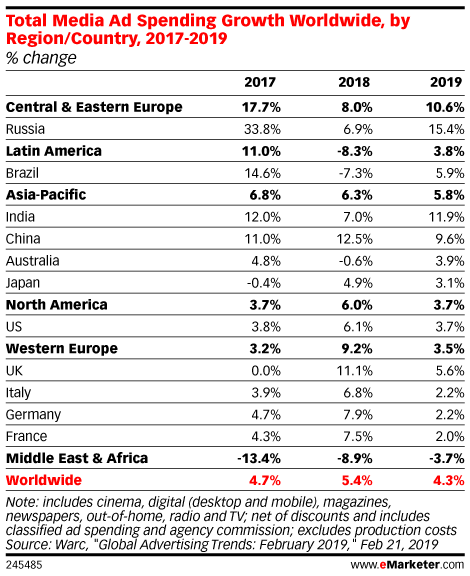 What is the growth of total media ad spending? 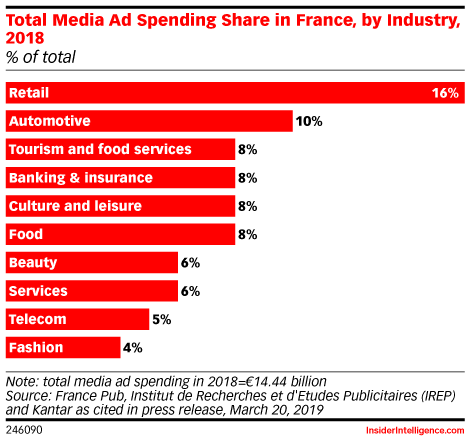 Digital platforms will claim nearly €5 billion ($5.9 billion) in ad outlays in France this year—equivalent to 41.0% of total media ad spending. 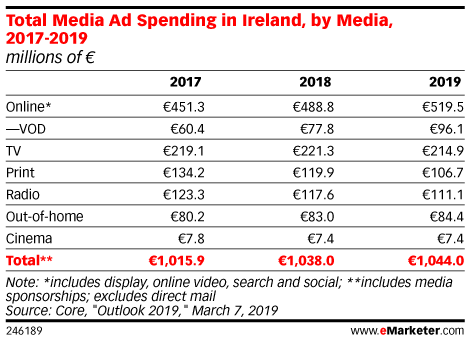 Three-quarters of that digital sum will go to Facebook and Google. 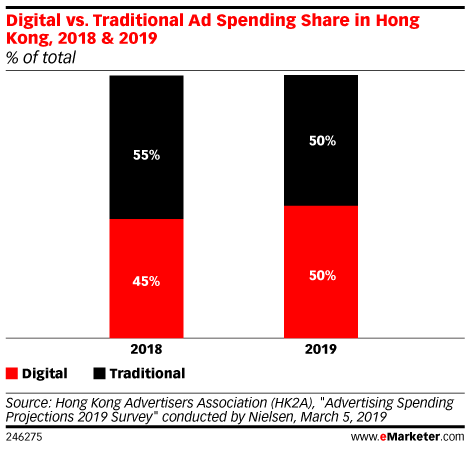 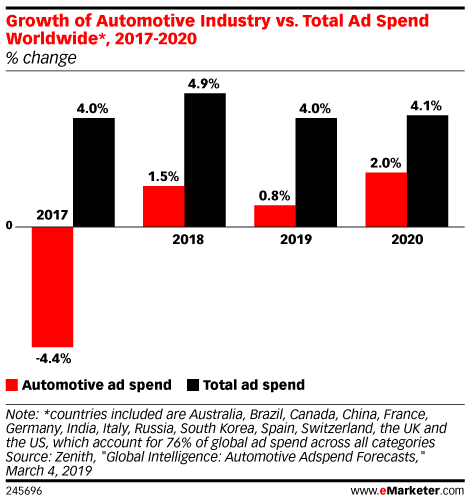 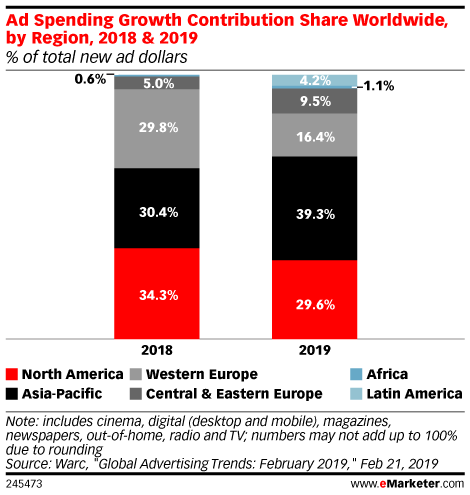 In 2019, digital will account for 50.1% of total media ad spending worldwide thanks to strong growth from major digital ad sellers like Google, Facebook, Alibaba and Amazon. 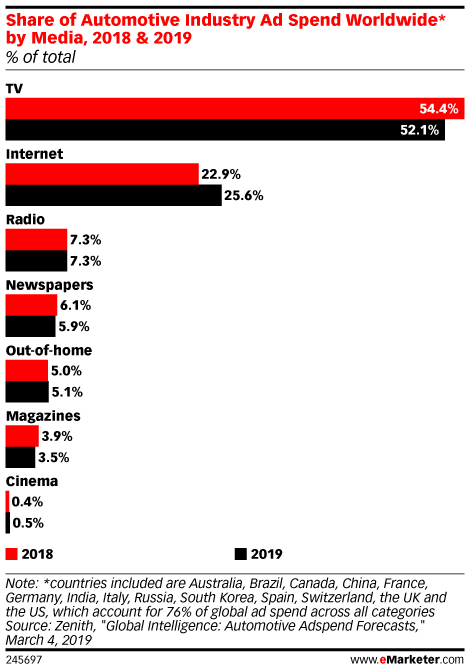 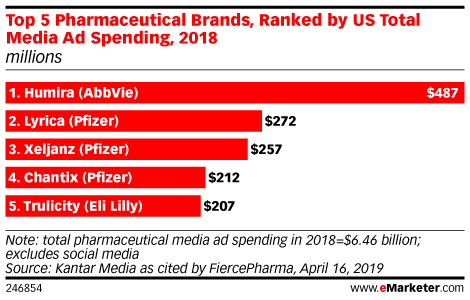 Traditional channels will remain important, however, as advertisers begin to think more holistically about their advertising and marketing budgets.